Don’t Miss Mikky Ekko w/ Conner Youngblood | TONIGHT at Mercy Lounge! 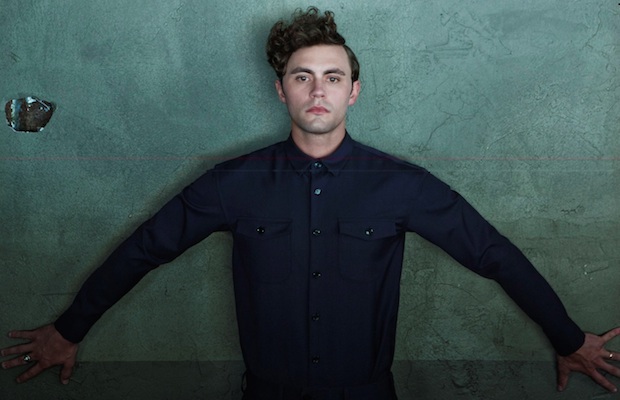 2015 has been an incredible breakout year for local artist Mikky Ekko. The former MTSU student has played a number of local shows in the past couple of years, and was even featured as a backup vocalist on blog favorite Rayland Baxter’s album, Imaginary Man. Hot off the trails of the release of Time earlier this year, he’s only gained momentum since. He’s coming back around to Nashville for a headlining spot at Mercy Lounge tonight, Oct. 29 at 8 p.m. with fellow local Conner Youngblood. Read below to find out more about the artists, and grab tickets here before they sell out! We brought you news about Mikky Ekko‘s single “U” just before his album release earlier this year, and his video for “Smile” last fall. He’s gone from humble Tennessee singer-songwriter to singing on Rihanna’s hit track “Stay” and performing at the Grammys. Ekko’s mellow pop melodies and meaningful vocals set him apart. Give his debut album a listen, and check out “U” below before you head to see him tonight. Dallas to Nashville musician Conner Youngblood makes ambient beats layered with an emotional and powerful voice. Just a few days ago, he released an atmospheric video for his song “The Badlands” from his collection of singles, Generation of Lift, released this year. Youngblood’s unique indie pop style makes him the perfect opener for Mikky Ekko. Listen “The Badlands” below! Mikky Ekko and Conner Youngblood will perform tonight, Oct. 29 at Mercy Lounge. The show is 18+, begins at at 8 p.m. (doors at 7 p.m.), and tickets are available for $15. Olivia is a journalism major at Middle Tennessee State University and the Assistant Lifestyles Editor of MTSU Sidelines.